UNITED NATIONS, Sep 2 2016 (IPS) - The UN’s new Sustainable Development Goals apply to all 193 UN member states, yet one year in some say that rich countries aren’t taking their critical role quite as seriously as they should be. “What is an interesting, but also a scary observation, is (that the Sustainable Development agenda) is taken more seriously in developing countries than in many developed countries right now,” Mogens Lykketoft President of the UN General Assembly told IPS in a recent interview. “The development agenda is not as it was expressed more or less in the Millennium Development Goals (which ended in 2015), about poor people in poor countries, it’s about all people in all countries,” said Lykketoft. Lykketoft highlighted several ways that developed countries could contribute to addressing sustainable development, including through addressing climate change, tackling tax evasion and tax havens and improving official development assistance (ODA) (the official name for aid). “We know that the loss in revenue from rich countries and rich people (taking) their profits from developing countries that loss is much larger than the ODA going the other way,” said Lykketoft. “We have to strengthen very much the global cooperation against tax evasion and tax havens but we also have in this context to support many developing countries to develop those institutions that are able to cope with the large companies investing in their countries,” he said. “Challenges such as climate change and inequality don’t observe national boundaries, they require collaboration at the global level. So the SDGs are for all countries to achieve,” Bonian Golmohammadi. Lykketoft noted that such tax cooperation is currently coordinated by the Organisation for Economic Co-operation and Development (OECD) and that there is not consensus between the UN member states to change this. Lykketoft also described how developed countries need to help developing countries to adapt to and survive climate change. “A very big part of the transformation needed to have a sustainable future, to avoid climate catastrophes, is investment that has to take place in (the) most developed countries – in their way of using energy, saving energy, production methods and general consumption patterns,” he said. 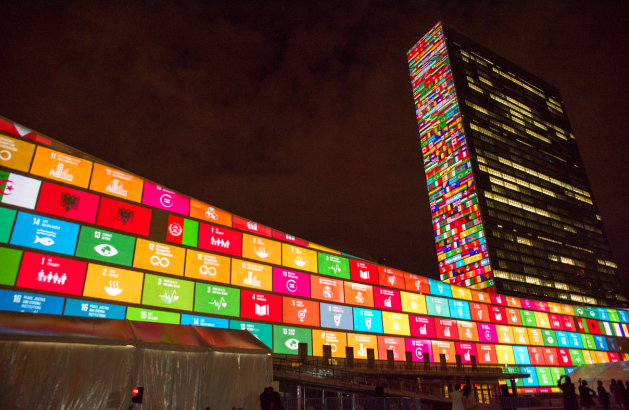 IPS spoke with representatives from organisations working on the Sustainable Development Goals (SDGs) in both developed and developing countries, who all agreed that developed countries have an important role to play in achieving the global goals. Joh​n Romano, Coordinator of the Transparency, Accountability & Participation (TAP) Network which is closely monitoring how UN member states measure and report on the SDGs, told IPS that it seems like some developed countries are not taking the SDGs as seriously as they should be. Kate Carroll. International Research & Policy Coordinator at ActionAid agreed with Romano’s observations. “In our work we are consistently seeing that developed countries have a lot more to do (to achieve) the SDGs. Other areas where developed countries could be doing more to address global inequality, include addressing preferential treatment in global trade and improving the quality of aid, said Carroll. However Bonian Golmohammadi, Secretary-General of the World Federation of United Nations Associations (WFUNA) which has members in over 100 countries, told IPS that the WFUNA has seen both developed and developing countries taking the SDGs seriously. Golmohammadi agreed that all countries must be involved in order for the goals to be successful. “Challenges such as climate change and inequality don’t observe national boundaries, they require collaboration at the global level. So the SDGs are for all countries to achieve,” said Golmohammadi. Ana Marie Argilagos, senior advisor on Equitable Development at the Ford Foundation, also believes that developed countries are taking the SDGs seriously, particularly domestically. She says that she has seen a lot of interest in the SDGs in the United States, noting that while Americans may use different terminology there is a lot for them to identify with in the goals. “We just don’t use the word development, we call it community development, we call it economic development, we call it civil rights, we call it social justice,” she says. “We took all these years, with all of these panels and all of these really smart people, and we had civil society, and they have developed for us a very compelling list of the most important priorities for our generation, so let’s use it,” she said.